On Wednesday, January 26 at the Unified Symposium in Sacramento I’ll be on a panel discussing Biodynamics in a point counterpoint format. Should be interesting. BTW, the Unified Symposium is a large trade/equipment show that also has presentations on various topics. 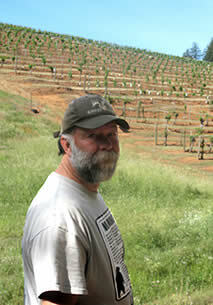 Joe Roberts of the 1winedude.com blog did a point counterpoint with Alan York and me. Last Tuesday Joe posted a 40+ minute conversation with Alan York, a Biodynamic consultant on four continents and this morning posted my conversation which runs a little longer. There’s an awful lot I could say about Alan’s segment, but I think I’ll refrain, at least for a while and until most folks have heard it. This entry was posted on Tuesday, January 25th, 2011 at 8:47 am and is filed under Uncategorized. You can follow any responses to this entry through the RSS 2.0 feed. You can leave a response, or trackback from your own site. the non-science, mad-science of Steiner is not just limited to Biodynamics, it can also damage your health. Another good reason for consumers not to fund or promote Anthroposophic ideas. Thank you for this link, it is excellent and right on. I urge everyone to read this. Have you seen this google ad that was under your comment on your website this morning? Heal your soil, heal your soul. Give your garden the gift of life! Your google ad program may be driving traffic and business to pro biodynamic websites! Another example of how internet and other forms of advertising fail. I assume Stuart is amused if not horrified by this add being place below his blog. WordPress should be embarrassed by this. Another great voice of reason, Dr. Dean Edell was often neutralized by his radio networks running of shameless adds for junk science health products, that were not condoned by him. He’s off the air now partly because the advertisers wanted his head for bad mouthing there products and the allmighty dollar won.